Organic materials, such as semiconducting molecules and polymers, can be exploited in functional electronic devices, such as organic solar cells, which offer a promising alternative to conventional photovoltaic technology. 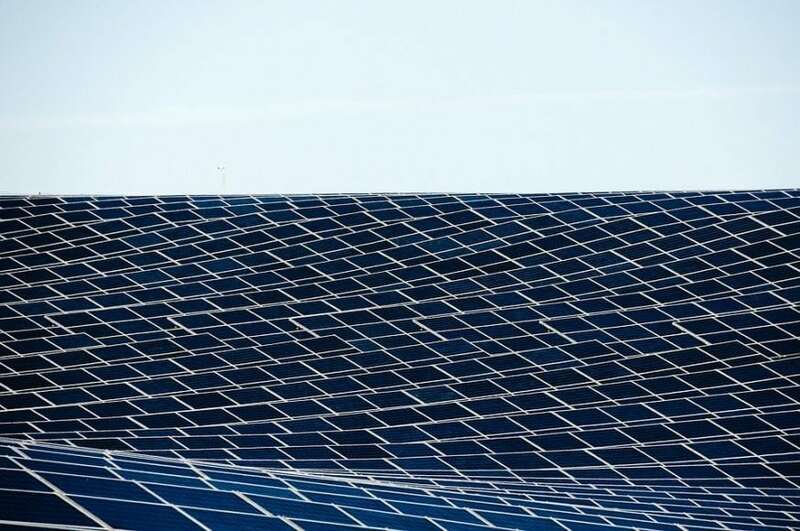 One of the appealing features of organic solar modules is that they can be manufactured by roll‑to‑roll printing from ink based solutions, similar to the way newspapers are printed today, enabling the rapid and low-cost production of large area photovoltaics. These modules are flexible and lightweight, and their color can be tuned by the appropriate choice of molecules. Most importantly, curved modules of chosen color are particularly attractive for building‑integrated photovoltaics. Despite impressive progress and attractive features, the efficiency of organic solar cells is still lower than that of conventional photovoltaic technologies. This is in part due to the rather inefficient transport of charge in organic solar cells, which is critical for the successful conversion of absorbed sunlight into electrical energy. For a long time, charge transport between organic molecules in a functional electronic device was thought to mostly occur by a charge ‘jumping’ from one molecule to the next, one molecule at a time. However, in a recent paper published in Advanced Energy Materials, researchers from Linköping University in Sweden in collaboration with colleagues in Lithuania (FTMC) and Germany (TU Dresden) have experimentally revealed another mechanism for charge transport between molecules, which has thus far been largely overlooked. The researchers have experimentally shown that charges can be transported between distant, i.e. non-adjacent, molecules by quantum mechanical tunneling. Instead of only being able to ‘jump’ from one molecule to the next, the charge can effectively pass through several molecules in an instant, ending up at the destination molecule as far as an estimated 4 nanometers away (for the molecules used in the study the center-to-center distance was about 1 nanometer). “We are very excited about these results, we anticipate that the mechanism is general and can be exploited in any organic electronic device utilizing appropriately chosen molecules, e.g. an organic light-emitting diode (OLED). Although this study was only to demonstrate the main concept, future molecules could possibly be engineered to increase the efficiency of this process further, enabling novel, perhaps not yet anticipated, device functionality. From the fundamental and practical standpoints, the limits of this mechanism are yet to be explored.” commented A. Melianas who led the study. The study, Charge Transport in Pure and Mixed Phases in Organic Solar Cells was recently published in the journal Advanced Energy Materials. This work was led by Armantas Melianas from Linköping University. Armantas Melianas received his PhD from Linköping University (Sweden) in 2017 for his work on time-resolved charge motion in organic solar cells. 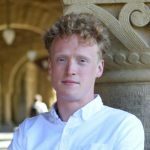 He joined Stanford on October 2017 as a recipient of the prestigious Wallenberg Foundation Postdoctoral Fellowship and is currently working on brain-like computing applications using organic semiconductors.